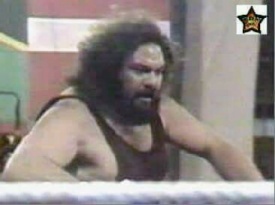 Made his debut on 1983 in Colosos de la Lucha as Krakus El Cavernicola (Krakus The Caveman). In 1988 he went to Titanes en el Ring under the gimmick of the Arabian Barbachan. When he moved to Super Catch Argentina in 1990 he reprised Krakus. He still went as Krakus in 1991 in Super Catch Paraguay. In 1993 at Lucha Mundial he changed to El Loco de la Motosierra (billed from Toronto, Canada) and continued with that gimmick in Lucha Total in 1995. This page was last edited on 29 June 2018, at 13:59.